Early bloomer. 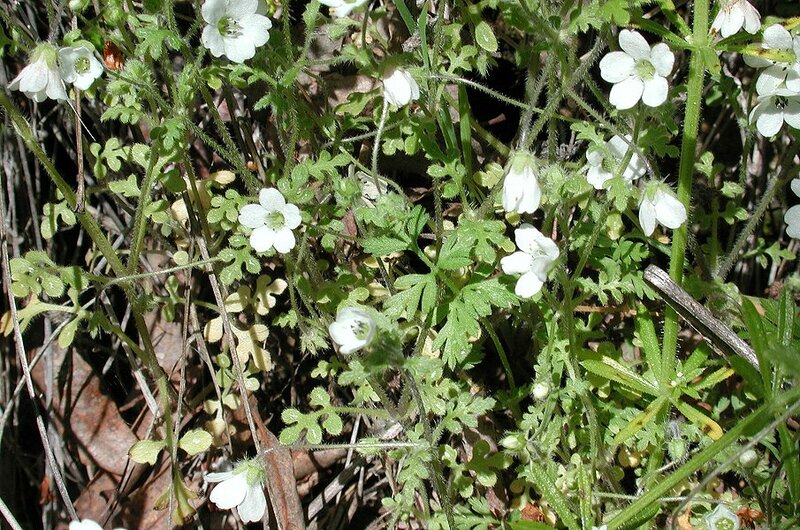 Five small petals united in a bowl shape, weak stems. 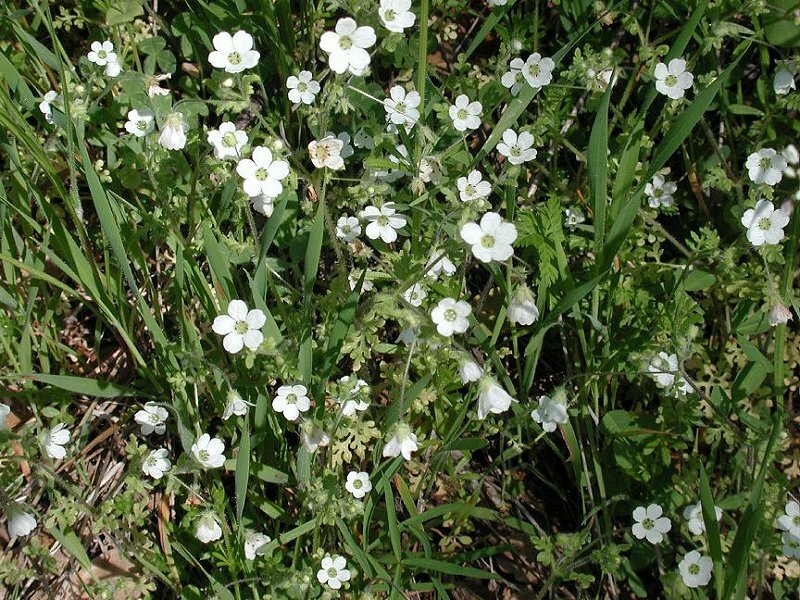 Low plants often massed on grassy, shady slopes. While distinct from popcorn flower, both have small white flowers and from a distance the flowers look very similar. 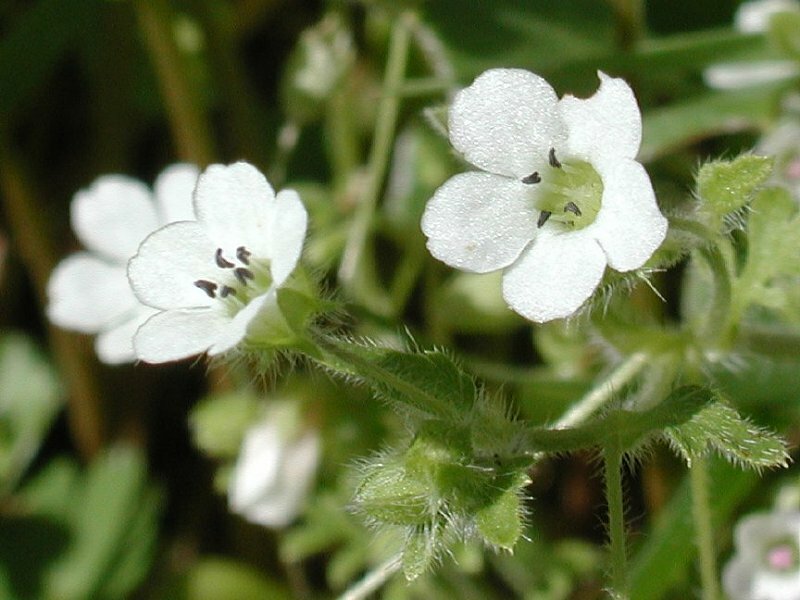 However, they can be distinguished from a distance because popcorn flowers grow on tall stems while canyon nemophila hugs the ground. Notes: Nemos from the Greek meaning wooded pasture or meadow, Phila from the Greek meaning lover of. Our species is white to pale blue—related to Baby Blue Eyes. Species Nemophila heterophylla Fisch. & C.A. Mey.